Get ready for the 2010 World Cup as Matador Sports profiles the tournament’s teams. This week: South Africa. After a 24 year ban from the world stage due to apartheid, Bafana Bafana, the national South African team, reemerged in 1994, only to not qualify for the World Cup. 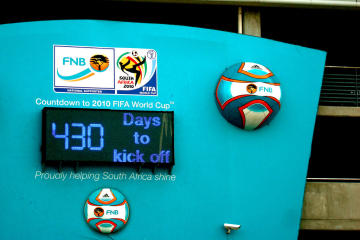 Since then, South Africa has qualified for the World Cup twice, but never made it past the first round. Following their defeat in the 2002 tournament, South Africa made a string of coaching changes, six in total, in hopes of restructuring their fledgling organization. The team’s current coach, Joel Santana, has a reputation for rescuing teams on the brink of disaster. While the South African selection is Santana’s first international job, he’s one of the few managers to win Rio de Janeiro’s Campeonato Carioca with all four leading clubs: Botafogo, Flamengo, Fluminense, and Vasco da Gama. Known for his focus on scoring prevention, Santana has surrounded himself with some exceptional talent in the defensive area. The cornerstone of Santana’s squad is team captain Aaron “The Axe” Mokoena. Touted as the youngest South African to play on the world stage, Mokoena made more than 25 international appearances before the age of 24, with a total of 90 appearances to date. Two more of South Africa’s most talented and popular players were omitted from the Confederations Cup. Benni McCarthy, South Africa’s leading goal scorer, was omitted by Santana for previously missing call-ups. Likewise, Nasief Morris, one of the team’s leading defenders, was omitted from the squad. Santana has recently gone on the record to state that he’s still looking at both Morris and McCarthy to fill the squad for 2010, but remains open to picking others. If previous years’ performances are any indication, the South Africans have a hard road ahead of them. At the very least, South Africa could expect to surpass the records set by previous teams, providing they improve their experience and record in upcoming friendlies. Can’t wait for the Cup to start? 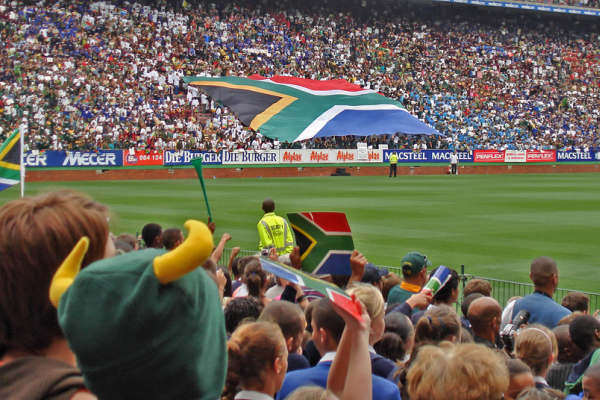 Read up on South Africa with Matador Travel’s South Africa destination blog. Be sure to check in soon for our next World Cup team profile: North Korea.